Here at UnCOVered we’re taking a closer look at our Faculties in the run up to Results Day, to show you just what we’ve got on offer, and this week is the turn of the Faculty of Engineering, Environment and Computing! You could be forgiven for thinking this Faculty name is a tongue-twister (top tip: EEC is great way to save time in conversations), but we have so many specialisms we’re proud of that we just couldn’t leave them out. The majority of our faculty is based in the impressive EC Building, which definitely stands out against the Coventry skyline. 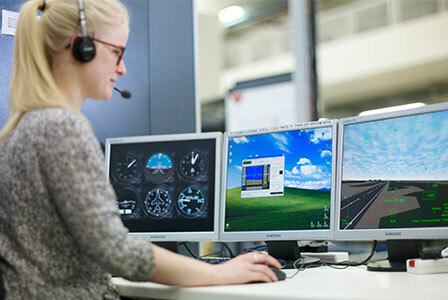 It’s home to flight simulators, car engines, a climate control chamber, a Harrier Jump Jet and a Starbucks – important to both staff and students! We’re tackling tomorrow’s challenges today; whether that be climate change, improving aeroplanes, or even creating the latest computer game! We’ve all heard people called geniuses in relation to maths, computers and technology, so what did we do? Put them all together in the School of Computing, Electronics and Engineering of course! 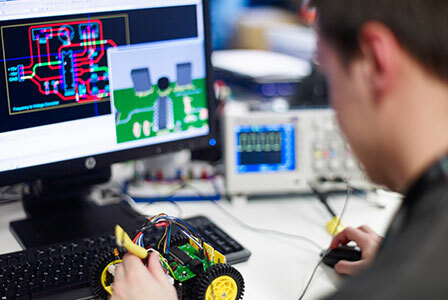 Our teaching covers traditional subjects like Electrical and Electronic Engineering, Mathematics, and Computer Science, but we’ve also got more niche courses on offer, such as Forensic Computing, Games Technology, and Ethical Hacking. Find out more about all these courses here. Our students have lots of lab opportunities available in our games tech lab with virtual reality headsets, electronics lab with test and measurement equipment, and even a Mac lab for all the Apple fans in the School. These and many more…! In the School of Energy, Construction and Environment we’re studying the environment, so technically we run the (natural) world! We teach a range of disciplines including Civil Engineering, Geography, Disaster Management, Humanitarian Engineering, and Oil, Gas and Energy. Lab work is a core aspect, but we love our students to get real world experiences, and so there are loads of field and industry trips available. How can we understand the natural and physically built environment without going out and exploring it? There are many social aspects you can get involved with too, like the Construction Society and the International Disaster Concern Society, with its legendary annual Viking Social! 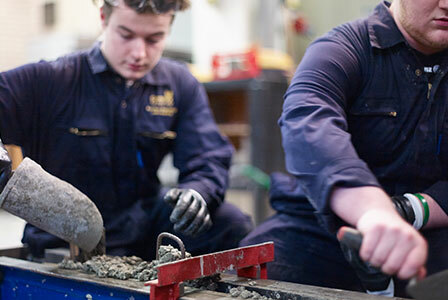 You may or may not know this, but Coventry is actually the birthplace of the motor industry in this country, so naturally the School of Mechanical, Aerospace and Automotive Engineering has a global reputation for its teaching and student experience. Our tradition with industry is still shown today with our relationships with big names including Emirates, Jaguar Land Rover, Airbus, and many more. Our wind tunnel was designed and provided by Mercedes AMG PETRONAS (no biggie) and there aren’t many places where you can fly your own Harrier Jump Jet to see how good a pilot you are! In the Faculty of EEC, we’re putting our best foot forwards to help our students achieve their career goals with our dedicated service, EC Futures. We’re on hand to help you during your time at Coventry and beyond, whether that’s with industrial placements, work experience, or getting that coveted graduate role. And our employability focus isn’t just for our undergrads! We know we need to help our postgraduate students develop leadership skills to face our ever-changing world, so we’ve partnered with the Chartered Management Institute to deliver the Global Professional Development module on a variety of our courses. You can read more about the module in this blog by student Wahyu. It might not be as big as, say, Christmas, but today is actually ‘Assistance Dog Day’! So we couldn’t post this blog without mentioning a very unusual member of the EEC’s staff: Jacky the Guide Dog. 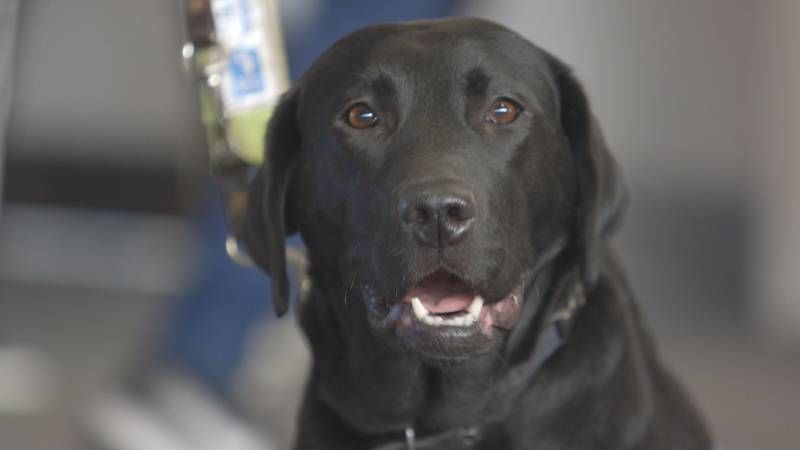 She works with Coventry lecturer Lizzie Miles, and Cov Uni supports them both in their work for the Guide Dogs for the Blind. Students can meet Jacky around the EC building and even study with her! This Clearing, if you need to know any more about the courses our faculties are offering, head to our dedicated website, and you could be joining us this September! #Trending, *Freshers*, Clearing, International, Join Us, Postgrad, Undergrad, Why Cov Uni?